The ultimate Croatian Quiz - find out how Croatian are you? This Croatian quiz will let you know how well you know the Croatian culture and mentality. There are 15 multiple choice questions which cover everyday situations. You can choose one of three answers. At the end of the quiz, you’ll know which type of Croat you are. With each score, you get a description of your type. 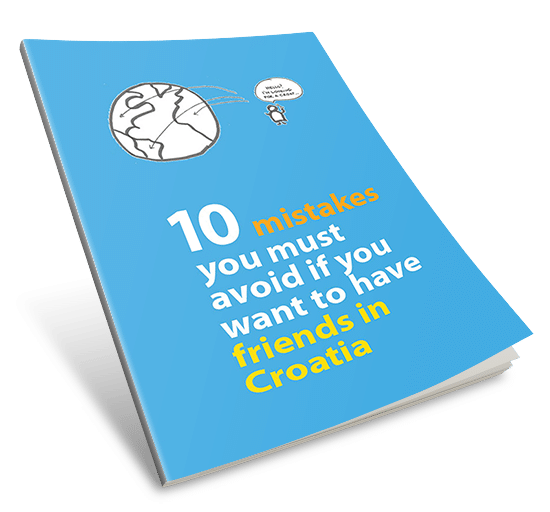 And a few useful guidelines on how to best use your unique skills to improve your life in Croatia. You also get a nice badge that you can share with your friends on the social media. I took the test, but did not get my scores or explanation. Maybe try again, Kathy. Make sure you answer all 15 questions. It should work! Hi Andrea. As I was taking this test I knew my honest answers were terrifyingly American – I had a pretty good idea of what I SHOULD have answered to sound more Croatian. I had to laugh because I am totally “lost in Croatia”. Such a rule follower. My result: I am lost in Croatia…oh boy. Nice to know. Personal principals take a long time to establish and are a lifelong possession…or habit if you will. But to discard them is to lose on a quiz or two. So be it. I’d rather be lost. Or maybe I should re-look my principals and start all over again? Ha! Croatia is the most beautiful country in the world, and Zagreb is the most beautiful city, and there is no Sea as Plavi Jadran. I was thinking like an american and was ‘totally lost in Croatia’. I am looking forward to the experience this Sep.
Answering honestly I get “lost in Croatia” repeating the test as I know the things are going on in Croatia I get “pure Croatian”. I’m a Croat with a twist. It’s good to be one. Very amusing. Pure croat from three time visitor to Zagreb. Only thing missing was question about taxi. Hvala! tweaking of meters, long routes, pretend no english. uber changing all that though. last time i was there even tho using GPS, what should have been 100 kuna from airport to apartment ended up being 280 kuna. don’t trust cabbies in zagreb at airport. same in bucharest. just get an uber and you know what it costs straight away. also, music not as loud. heheh. Sure, I know what you’re talking about, Ryan. Thanks for sharing! I’m Croat with a twist, I’m heading there in May and with the way politics are going in the US, I probably will want to stay forever! What are the procedures for immigrating?? Great, Margot. I am sure Croatia will be happy to welcome more foreigners who want to settle here. You need to check the immigration procedure with the Croatian embassy in the US. Ah, Andrea…I just made filane paprike and palacinke for dinner, only to learn that I am ‘Lost in Croatia’…? Down, girl! Enjoyed doing the test Andrea. 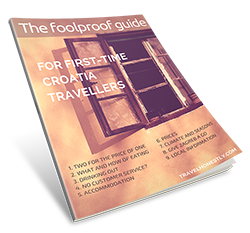 I scored Pure Croat, but I confess, being born Downunder to Croatian parents, there are definitely 2 quite different people in me – one Croatian and one Other – and they often are at odds with each another. Doing this test I was pleased to see that the Croatian One is alive and well (and overdue for a visit to Croatia – including beautiful Zagreb!). Glad you enjoyed the test, Angela. It’s really interesting to see how Croats abroad all have two sides to their person. I think this is actually great. You can pick and choose and most of all, you are more aware of the way different societies work! I thought you would be, Adela 🙂 Be proud if it!!! Pure Croat. I enjoyed the quiz. Looking forward to a visit soon. Pozdrav iz Detroit~a! Glad you liked it, Fred. And I hope you have a great time in Croatia. I got Lost in Croatia. Which is funny because I am Croatian, have lived here in Zagreb all my life, my family is from Croatia and it doesn’t get more Croatian than that. However, apparently, you have to be a corrupt person who a avoids the rules of the civilized society to be what you call a “pure Croat”. It is quite offensive, I must say, but then again, I guess we all function in stereotypes. Be as it may, I am sorry if this is your perception of Croatia and of my compatriots. As it says at the beginning of the quiz: keep an open mind – this is supposed to fun! So, apparently, I am a corrupt person who avoids the rules of the civilized society. You see, “offensive” works both ways. True to the fact. And understand why I received the answer I got. Fun and Thanks. Found the test interesting. Enjoyed taking it. Love Croatia and the Croation people. Had the privilege of visiting there to find relatives. There is a strong presence of Croats here in America. Thanks, Rosemary. I am glad you enjoyed the quiz. Yes, I know there are many Croats in the US. It’s a great thing to be able to connect like this online. I was sure I’d be lost. I laughed my a.. of!!!! Tihana, it’s great fun, isn’t it? Glad you enjoyed it. I kind of expected it, as I live my entire life not caring about the stressful things in life, I am cynical of sheepish things people do (like waiting in line for anything), I never vote, and I am also a proud subscriber to cronyism (only friends and only family for everything). Pretty accurate description of a Croat in one sentence. I am the one with the twist, croatian born and raised, married to a Dutch, past 16 years lived and worked in Western Europe. Funny enough my Dutch husband is pure Croat! Thanks to my good influence!!! Took the test. Confirmed what I already knew… I’m Dalmatian, not Croatian. Did the test twice. No score as such shown but says I’m ‘Out of place’ in Croatia with a summary. Oh hum! I still love the country and its people even though I’ve only been to Zagreb once (last December) and before that was waaay back in 1979 on my first honeymoon! ISPUNIL SAM TEST I DOBIL SAM “izgubljen u hrvatskoj”, ***DIPLOMU***! NIST MANJE NISAM NI OCEKIVAL! JEDAN PUT “PURGER”, UVIJEKE “PURGER”! RODNA GRUDA BU UVIJEK U CENTRU MOJEG SRCEKA! AJDE, BOK! First I answered as me and was lost in Croatia, then I took the test again and thought of my Croatian friends whilst I answered, now I get Croat with a twist. Perfect, that describes exactly how I have felt in your wonderful country. I find Croatia welcoming, respectful, full of life and energy. Your offering this test has just added a little to my understanding of why I feel that way when I visit.